I rarely change the cases on my phone, but Minnie & Emma is definitely having me reconsider that. My phone cases from spring through the end of summer were from Kate Spade and I totally loved them, but when fall rolled around, I wanted a case that showed off the change of the season. Minnie & Emma has all the plaids and tartans you could ask for and more when it comes to cases. What makes the cases even better is the ability to monogram them and personalize them to your tastes. I have yet to meet a monogram I didn’t like so I was so excited to show off my initials on my new case. After looking through all of the amazing cases, I opted for a Buffalo Check red and black case with my full monogram on the bottom. I have gotten a million compliments on the case since I put it on my phone, which makes it worth the slightly hefty price tag. With all of the cute plaids and tartans for fall, I really can’t wait to see what they pull out for the holidays. Soon, I’m going to need a new case for every month of the year! LOVE!!! That cute little reindeer is calling my name! Making me giddy for Christmas over here! Cute cases! I love the flannel! Loving all of these! Can't get enough plaid. 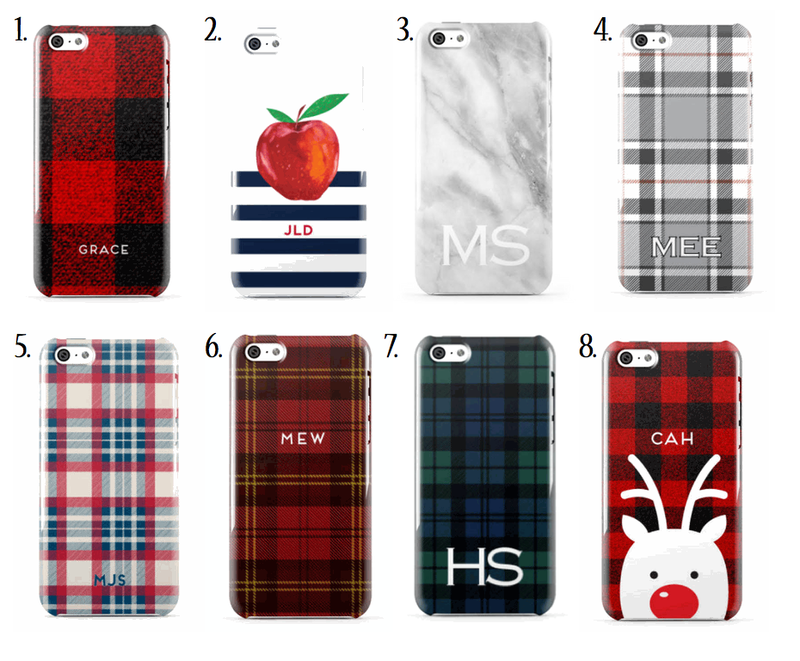 I am obsessed with all of the plaid cases!